Ashley Clements was born and raised in the San Francisco Bay Area. From an early age there was no stopping Ashley from performing, and despite receiving lots of good advice not to, she decided to pursue acting professionally. She studied undergraduate theater at Ithaca College and learned that snow is very cold, so after receiving her MFA in Acting from The Old Globe/University of San Diego Graduate Theatre Program, she moved to Los Angeles to be unemployed. Ashley did not stay unemployed for long, however, as shortly after moving to Los Angeles she was cast in her break out role, Lizzie Bennet, in the ground-breaking digital series, The Lizzie Bennet Diaries. The show was the first YouTube series to win a Primetime Emmy, and Ashley won a Streamy Award for Best Actress. She went on to appear in many other streaming series, notably Edgar Allan Poe's Murder Mystery Dinner Party, Inside the Extras Studio with Barry Bostwick, Video Game High School, BlackBoxTV, Muzzled the Musical, and in multiple series for HelloGiggles, one of which she wrote. Her features include Non-Transferable (Best Actress - International Independent Film Awards), Call of the Void, August Falls with Fairuza Balk and Alanna Ubach, and the recent Christmas horror film All The Creatures Were Stirring, with Constance Wu. Ashley has extensive theater credits that no one in LA cares about and she has performed at Carnegie Hall, which was just really cool. She created and stars in SONA, a sci-fi series which was acquired by Legendary Digital Networks, and she is currently hard at work on her next series, A Tale Told by an Idiot. In her free time she enjoys baking, snuggling her cat, and shouting into the unknowable void. 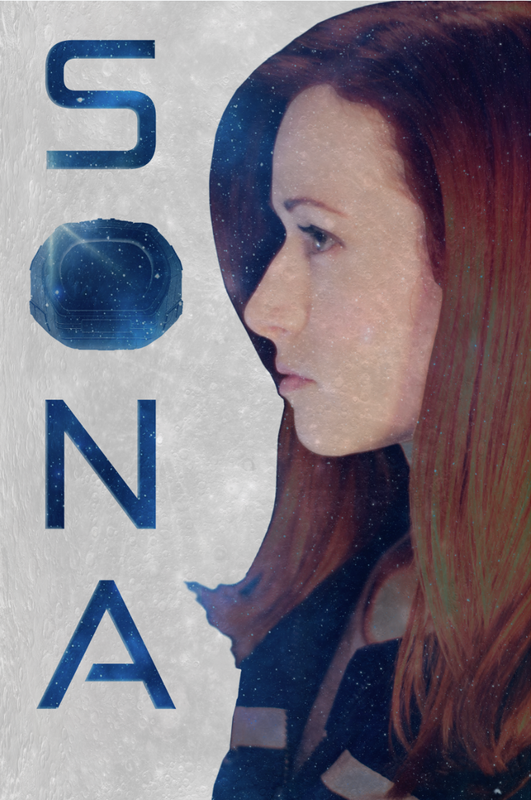 An eight-episode sci-fi series created by and starring Ashley, SONA is the story of a Space Corps officer trapped alone in an escape pod battling her circumstances and the dark crevices of her own mind. Now available on Alpha. Stuck with non-refundable travel reservations in her ex-boyfriend's name, Amy (Ashley Clements) decides if she can't change the ticket, why not change the guy? Ashley stars as Charlotte Brontë in the quirky cult series blending Midnight in Paris and Clue as famous classic authors meet at a dinner party that turns murderous. The Emmy Award winning, multi-platform adaptation of Pride & Prejudice became a viral sensation beloved by fans around the world. In this holiday horror-comedy, Jenna (Ashley Clements) finds herself on a very strange date on Christmas Eve. Also starring Constance Wu, Jonathan Kite, and Amanda Fuller. Coming soon, this zany mystery-comedy features an array of wacky characters, including Sean Astin and Darren Criss. You've seen the pictures. Now see Ashley move and talk.